Among all of the hot metal displayed at this year’s Pebble Beach Concours d’Elegance will be this special one-off version of the 2014 BMW i8. This unique hybrid sports car is fitted with some exclusive trim and equipment and will be auctioned off to benefit the Pebble Beach Company Foundation and the Concours d’Elegance itself. This special edition looks a bit more distinctive than the already striking 2014 BMW i8, which won our 2014 Design of the Year award, thanks to its exclusive Frozen Grey Metallic exterior color that’s part of the BMW Individual color palette. 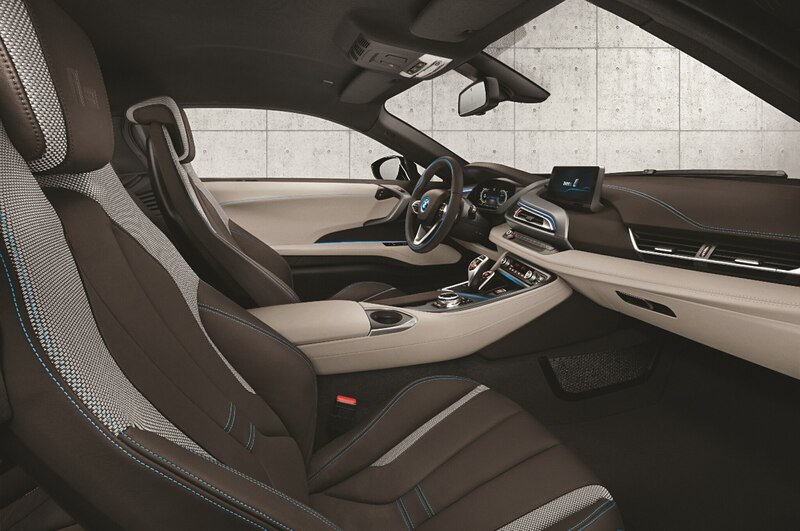 Unique trim also adorns this BMW i8’s interior, as it includes Dalbergia Brown leather with BMW i Blue stitching. 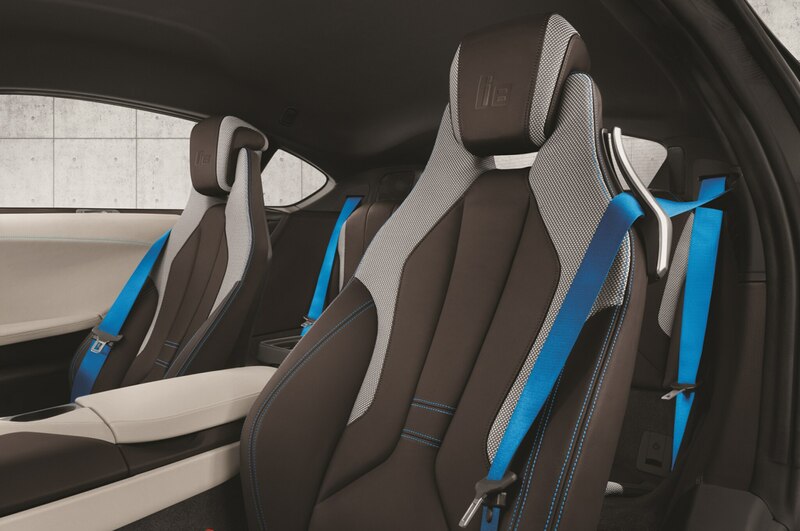 “BMW i8” is also embossed into the front headrests, and there are other blue accents throughout, including for the seatbelts. 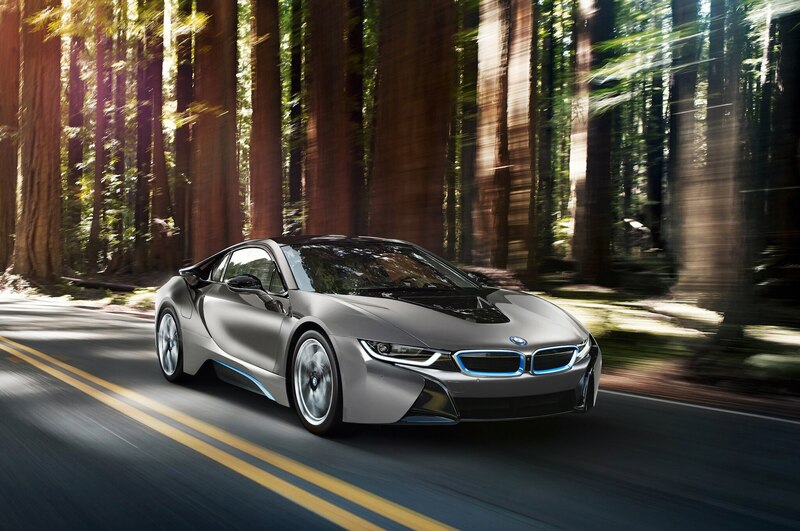 Changes to the 2014 BMW i8 Concours d’Elegance are not limited to appearance, though, as this hybrid will include some technology features not typically available on the U.S.-spec car. Notable details include a special BMW i8 display key, a professional-edition BMW Charging Station, and even laser headlights pending certification from the U.S. government. While the standard 2014 BMW i8 starts at $136,625 with destination, we would expect this one-off model to fetch significantly higher than that when it is auctioned off in Pebble Beach. It is powered by the same advanced hybrid system, which uses a 1.5-liter turbocharged three-cylinder gasoline motor that pairs with an electric motor to make for 362 hp combined. Stay tuned for the 2014 Pebble Beach Concours d’Elegance in just a few weeks to see this special 2014 BMW i8 go to auction.